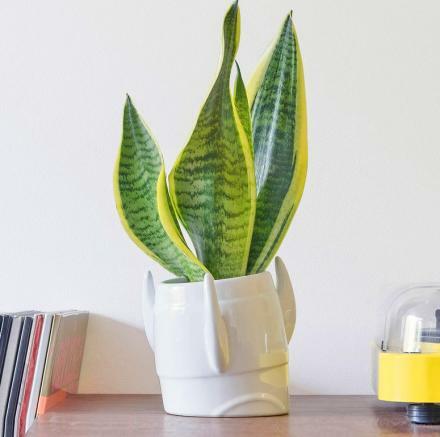 This coffee mug has an image of the artist Vincent Van Gogh on it that changes whenever you put hot liquid inside of it. 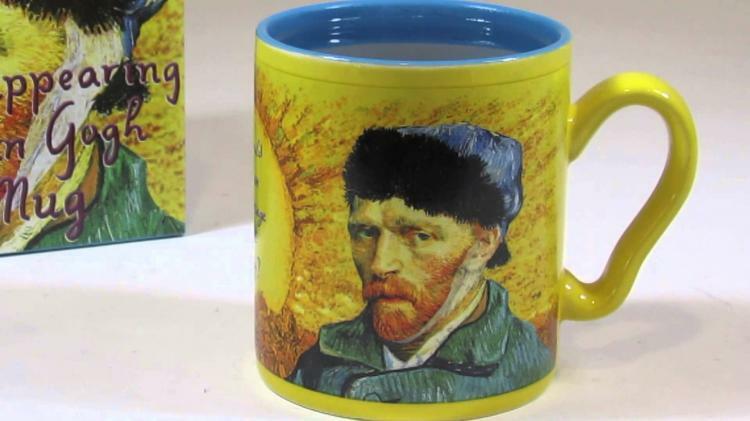 By default Van Gogh's ear is on and attached as it normally would be, but once you pour in the hot water or coffee, his ear slowly starts to get covered up by a white bandage as it is seen in some of his self portraits. As the story is normally told, Van Gogh sliced his left ear off with a razor blade in a fit of lunacy, wrapped it up and handed it to a prostitute, like one would normally do when you cut your ear off. But in reality that's not the actual real story. What really happened is he made that whole story up to protect his friend who was a fencer who sliced his ear off with a sword during a heated argument. 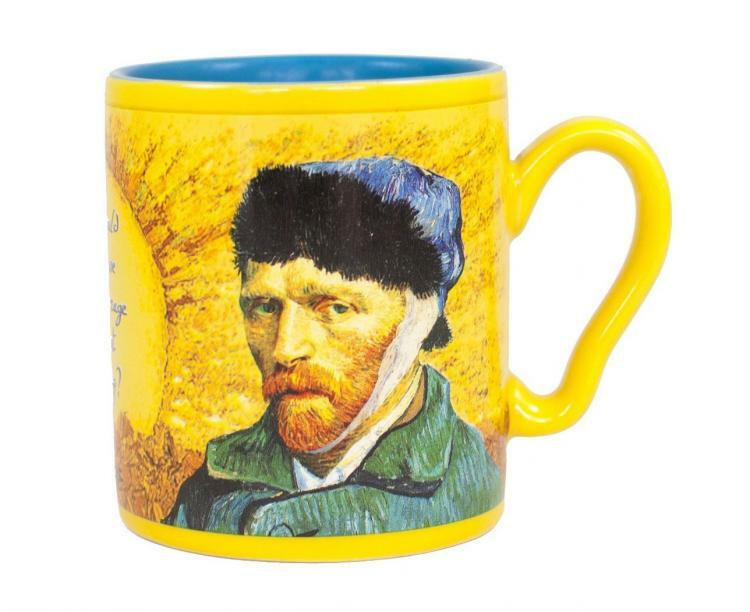 Now granted, it's just a coffee mug we're talking about here, but I thought you might want to know a bit of the history involving Van Gogh's ear. 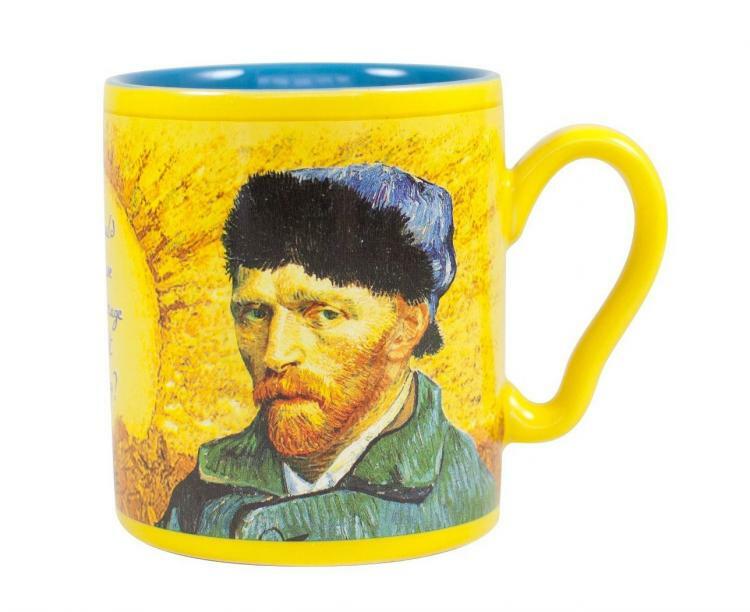 The Vincent van Gogh disappearing ear coffee mug is made from ceramic, is yellow in color, has an ear-shaped handle on it, is not dishwasher safe, holds 10 oz of liquid, and measures 3 inches in diameter. The mug would make a perfect gift idea for any art lover, or someone who's really into Vincent Van Gogh. 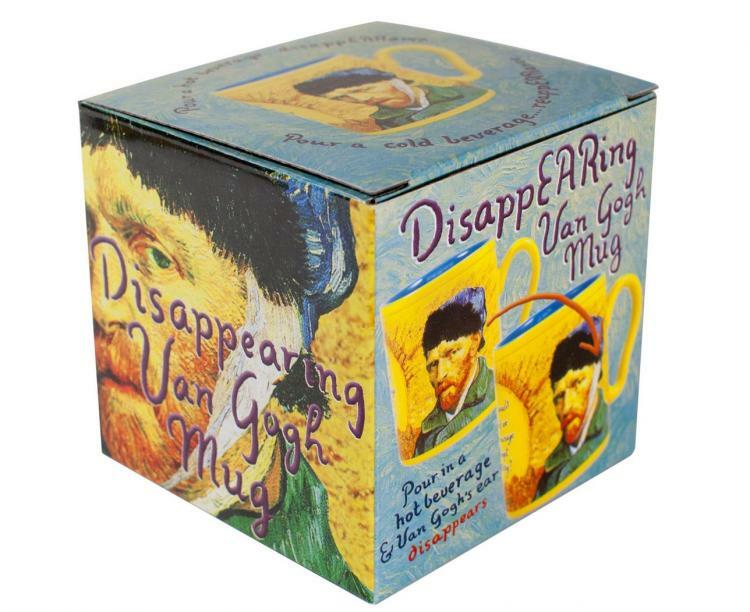 Check out the Van Gogh disapearing ear coffee mug in action via the video below.